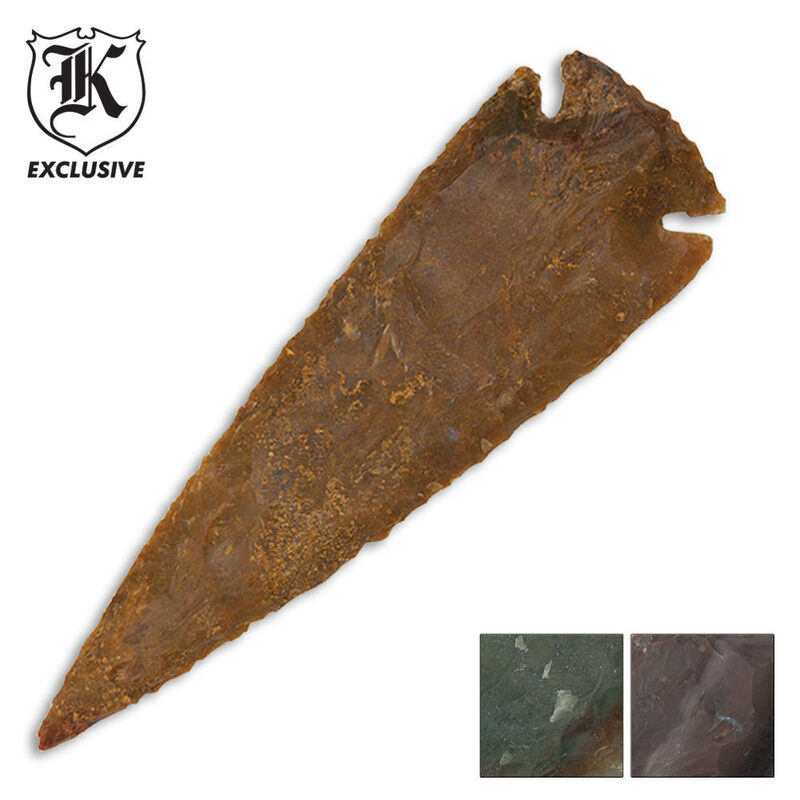 Handmade Agate Stone 5" Arrowhead Spearhead Contemporary | BUDK.com - Knives & Swords At The Lowest Prices! 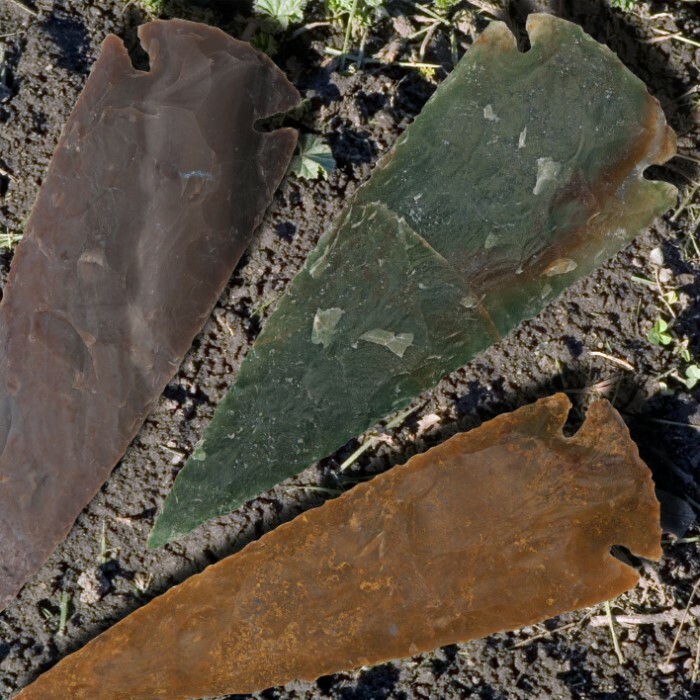 Our arrowheads are contemporary and handmade in India from agate and Jasper agate that is over a thousand years old. I ordered both the 5" and 7" spearheads in order to fashion two primitive knives from them. I have done my own flint-knapping, and found both of these spearpoints to be of very good quality and exactly as advertised and pictured in your catalog. I used some deer antler and thin rawhide (kangaroo) to make two very nice knives with them. I would definitely recommend them to anyone interested in primitive weaponry.